Counterfeiting in medicines is one of the worst crimes happening these days because fake drugs put many lives in grave danger. Most of the countries are coming up with norms to curb the counterfeiting in Pharmaceuticals. 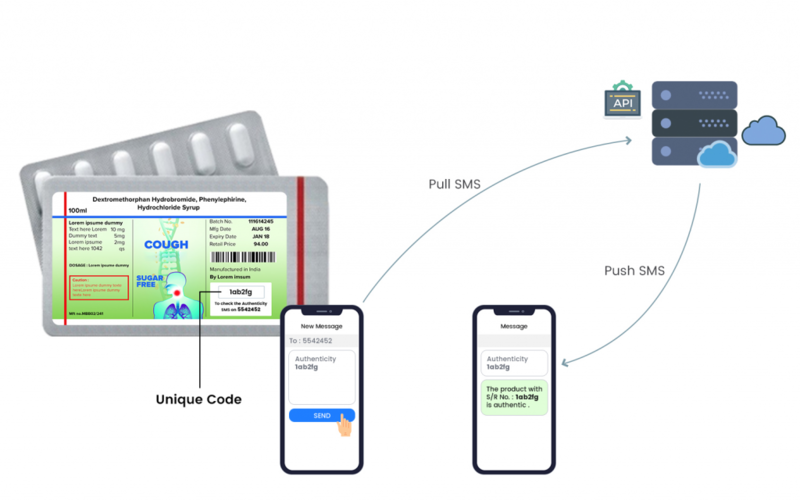 The Indian government has made SMS based drug authentication system mandatory for top 300 brands to prevent the counterfeits. The selected brands need to provide a unique number on each of the medicine strips. Along with the unique number, they also need to give a number on which the unique number can be sent to check the medicine’s genuineness. To implement this authentication system, the pharmaceutical companies need to deploy a software system that can identify and verify the drug’s authenticity by its unique code. The system needs to be flexible, easy to implement and cost-effective. The buyers can send the unique code to the specified number, and the software system needs to check the authenticity and send back the authenticity information to the sender. NeuroTags provides ready-to-deploy drug authentication for the pharmaceutical companies. This software system is very robust and customizable as per the client’s needs. It is capable of handling more than 1 billion products per month for each client. NeuroTags generates unique codes for each medicine strip/pack. These codes are affixed on the medicine strip/pack. The buyer sends the unique code to the specified number, NeuroTags system verifies and sends back the information to sender’s mobile. NeuroTags Drug authentication system records all the authentication requests and their results. So the brands can see the report of all the authentication requests and from what all demographic locations the instances of counterfeits were reported. NeuroTags also provides DAVA portal compliant Track & Trace solution for the Indian Pharmaceutical companies.